Caption: Thousands of Police and Firemen attend Annual Field Mass on the Parkway. 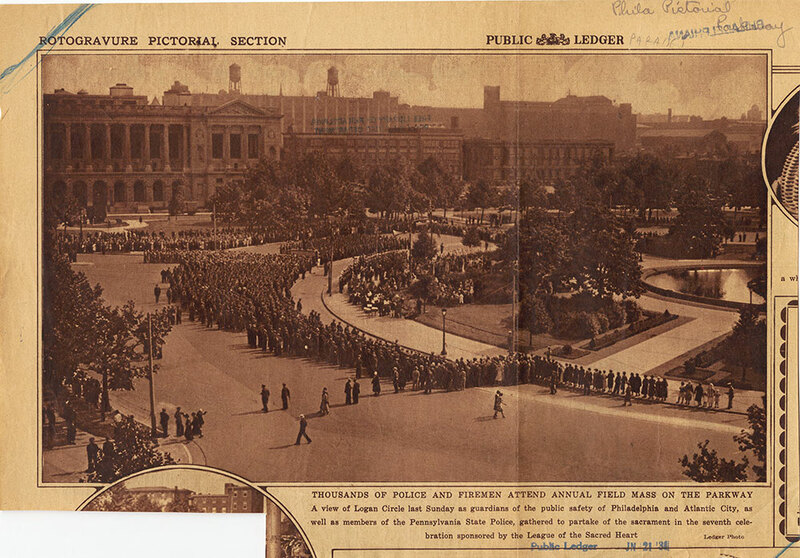 "A view of Logan Circle last Sunday as guardians of the public safety of Philadelphia and Atlantic City, as well as members of the Pennsylvania State Police, gathered to partake of the sacrament in the seventh celebration sponsored by the League of the Sacred Heart." Public Ledger, Sunday, June 21, 1931.